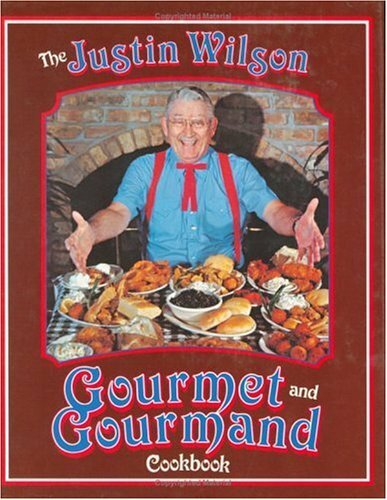 Included are many of the recipes demonstrated on Justin Wilson's Louisiana Cookin', seen on PBS. A sprinkling of the distinctive Justin Wilson humor and color photographs featuring Justin displaying his skills in the kitchen and entertaining his friends capture the earthy joie de vivre that followed Justin everywhere. "He looks like a Southern colonel or someone you might have met on a riverboat who wanted to teach you this new game, 'poker.' The face is handsome, the eyebrows dance when he talks. It is when he talks that you know you've never met anyone quite like him. He's an original, a one of a kind, and thousands upon thousands of people have laughed as they never laughed before when he tells his stories--tales about the most unique people who inhabit our earth, the great Cajuns of South Louisiana. . . . He is also an artist when it comes to cooking. He can work the same magic with fish and fowl, with vegetables and fruit, as he can with language. He loves to cook. His mission in life seems to be to make people enjoy life, to make them laugh, and to make them eat." This volume is indeed a gourmet/gourmand delight.